Welcome to the Saint Francis Hospice blog. We'll be bringing you thoughts, views and insight from our staff, volunteers, supporters and patients. If you have an idea for a blog, please get in touch, we'd love to hear from you! Mark Osborne’s father, Frederick, died 16 years ago which being cared for by our Hospice. In his memory, Mark has just taken on a huge challenge and was kind enough to share his experience with us. The New Year has also caused me to reflect on my time at Saint Francis Hospice and how I came to join this outstanding organisation. Kelly is a civil servant and her partner Serene works as a Sky engineer. 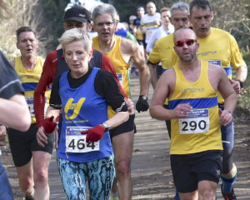 They live in Romford and are running the London Marathon together on Sunday, April 28. 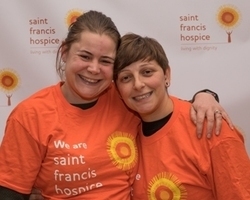 Here Kelly shares their inspirational story about why they’ve taken up the iconic 26.2 mile challenge……..
Stella Christou and I are Child and Family Therapists in the Family Support Services team at Saint Francis Hospice. Discussing our positions is relevant today because our roles and the work we do are funded by BBC Children In Need. Ely is 11-years-old and when his grandad died in March last year he was devastated and struggled to come to terms with his loss. I first got interested in Occupational Therapy when, as a school student, I did voluntary work at a paediatric ward in Newcastle. I felt drawn to health care and liked the idea of enabling people to reach their potential despite ill health or disability. Today is the start of National Occupational Therapy Week! 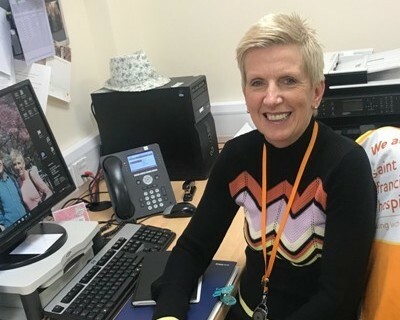 Here Nona Wiltshire shares a typical day as an Occupational Therapist and gives us an insight into the valuable role the team carry out at the hospice and in the community. How Saint Francis Hospice changed our lives. This time 2 years ago Saint Francis Hospice entered my life as my mum entered Saint Francis Hospice. It was life changing on many levels. My name is Nina Reardon, I have been a volunteer with Saint Francis Hospice’s OrangeLine service since November 2017. I ran the Brighton Half Marathon on 25th February in memory of my Nan and Aunty Jill. I am so happy to report that I completed the Virgin London Marathon for Saint Francis Hospice on Sunday. Liverpool is a great city, full of culture, shops, museums, history, scouse (stew to you & me) and of course the Beatles. The clichés “it’s a game of two halves, you don’t know what’s round the corner” describes this month’s training for the LONDON MARATHON. Sue's Marathon Challenge - part 2! Thank you for reading my second blog. 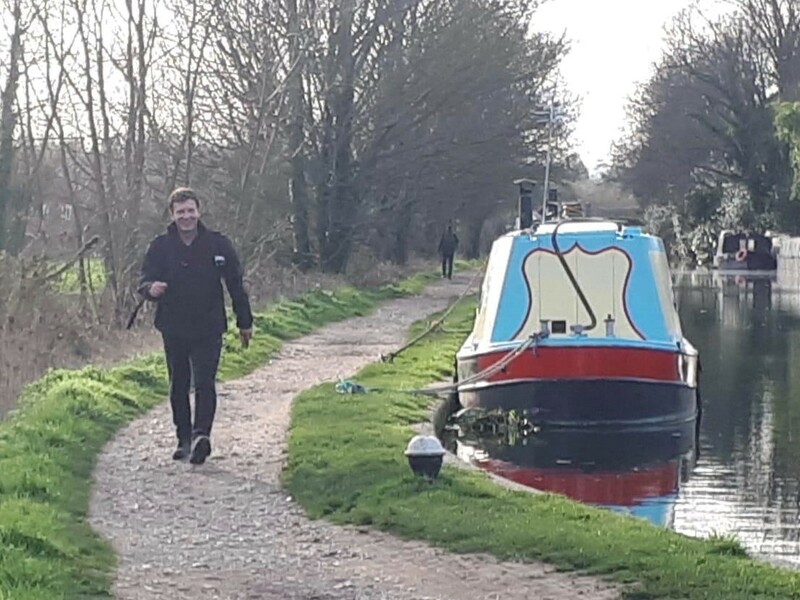 Sue's on the run again! 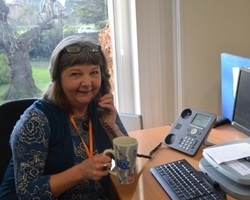 Sue Spong is a Bereavement Counsellor with our Family Support team. On Sunday, April 22 she will be part of #TeamSFH who will be taking part in the iconic Virgin London Marathon. 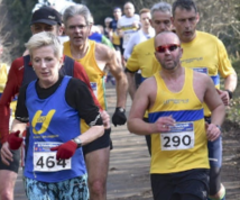 Here Sue shares her reasons for running and how her training is going so far! Bob Rogers is an inspirational man! This year he will be running his 5th Santathon! For those who have never signed up for this fun experience, his blog gives a hilarious insight into what you can expect! Pearl Osborne is one of our volunteer heroes whose extraordinary kindness has helped raise funds for the hospice and spurred on exhausted marathon runners. So as I headed back towards the city I knew I was nearly at the end. I woke up before my 12 alarms actually went off!!! Children In Need: How counselling has helped me. 10-year-old Hayden Punt, who has been receiving support from our Child and Family Therapist Stella Christou for almost three years. Children In Need: My time with Stella has turned my life around. Daniel Morgan was very close to his nan Sheila Crowley, who was cared for by our Hospice at Home team before she died in March 2016. Read Daniel’s story to find out how Stella helped Daniel come to terms with losing his beloved nan. 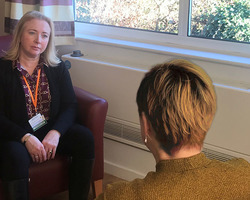 Grace Burgin started receiving counselling with our Child and Family Therapist Stella Christou in 2015 following the death of her granddad Maurice Davey, who was cared for at the hospice. This traumatic event compounded the grief Grace was suffering from previously losing her great nan Winnie Manger. Read Grace’s story to find out how Stella has helped her to cope with her fears and move on with her life. Julia Bell's first Mud N Madness experience! This weekend I ran in Mud n Madness for Saint Francis Hospice. A great race for a worthy charity. This special group gives people the opportunity to write poetry, prose, life stories and much more. Our patron Richard Madeley is supporting Light Up a Life this year. He shares with us why he's dedicating a star to his mum.